Help to make their special day even more special by sending this vibrant gift basket piled high with a large selection of delicious treats for them to enjoy on their Birthday! Do you know someone who is celebrating a birthday? 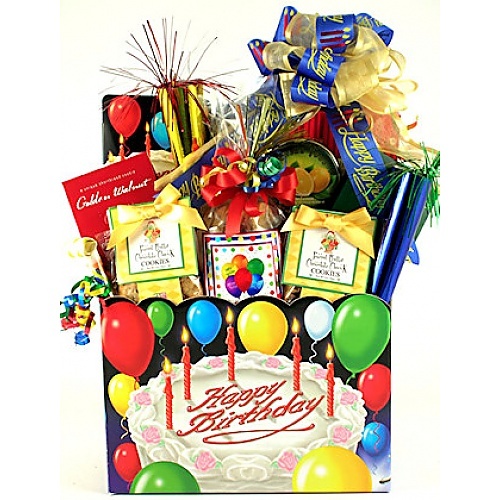 If so, send them your special birthday greetings along with this gorgeous gift basket overflowing with so many scrumptious birthday treats for them to enjoy! Trimmed with festive blow horns and picks, this festive gift will make them feel very special, indeed! !